The government doesn’t want military personnel buying Huawei or ZTE phones. The Pentagon has ordered the retail stores on U.S. bases around the globe to cease selling phones made by the two Chinese companies. “Huawei and ZTE devices may pose an unacceptable risk to the department’s personnel, information and mission,” said Army Maj. Dave Eastburn, a Pentagon spokesperson, in a statement provided to the Wall Street Journal. “In light of this information, it was not prudent for the department’s exchanges to continue selling them.” Maj. Eastburn said the government can’t tell troops not to buy Huawei or ZTE phones for personal use, at least not yet. Huawei and ZTE have been squeezed by the Trump administration this year, which insists phones from these companies could be used by the Chinese government to spy on Americans. The Pentagon worries Huawei and ZTE phones could give foreign governments insight into base operations and troop movements. Huawei and ZTE strongly deny such claims. Members of the Republican party have already floated legislation that would make it illegal for government personnel to buy Huawei phones for work purposes. More recently, the Department of Commerce banned U.S. companies from selling parts or software to ZTE for a period of seven years. Huawei and ZTE have yet to comment on the latest development. Portable power, it’s something that is becoming more and more important to us in our fast-paced lifestyles. I for one am always on the move from press event to the day job or ferrying the family around in the car. This means that I need a solution that allows me to plug in whatever device I happen to be using at the time for a quick charge. I don’t want to be restrained by the need to find a socket. It is for this reason that I will rarely leave the house without a power bank of some sort. Up until recently, this need has been fulfilled by my Anker Powercore 20000 that I got a few years ago. However, I am now running a laptop that has the ability to charge via USB Type C Power Delivery. This now means that I am able to keep going for longer whilst away from a power socket. However, my old faithful Anker PowerCore 20000 does not support this standard. So, I was on the hunt for something new. That hunt leads me back to Anker again. The new battery supply of choice is the PowerCore 26800+ PD. So what makes this so different? Well it’s to be found in the name, or more precisely in the last few letters of the name. The “PD” stands for “Power Delivery”. This means that I am able to charge my laptop on the go. So, I decided to put this to the test on a recent sojourn to Paris. I deliberately left my charger at home for that trip. The core kit I took with me was my laptop, both the Powercore’s (one for phones/tablets and one for the laptop) and my two phones. The mobile phones in question were the Mate 10 Pro and my new and shiny Galaxy S9+. This was now my “on the go” blogging kit. It meant that whenever I was on the move between venues and hotels I was able to juice my laptop up and not worry about it needing to be charged. I did, however, take one plug with me that was capable of charging the PowerCore’s, this turned out to be unnecessary but it was a security backup if I needed it. So did this plan of mine work? Well, I can say that I had no real issue as I was able to keep my gear going for the whole duration of the trip with no real problems at all. I used my laptop until the battery was down to about 10% and then I charged it fully over the next few hours whilst I was being shuffled around Paris. This used up about half of the battery on the PowerCore 28600+ PD. That night I plugged both phones into the other battery to ensure they were fully juiced for the next day and everything was fine. 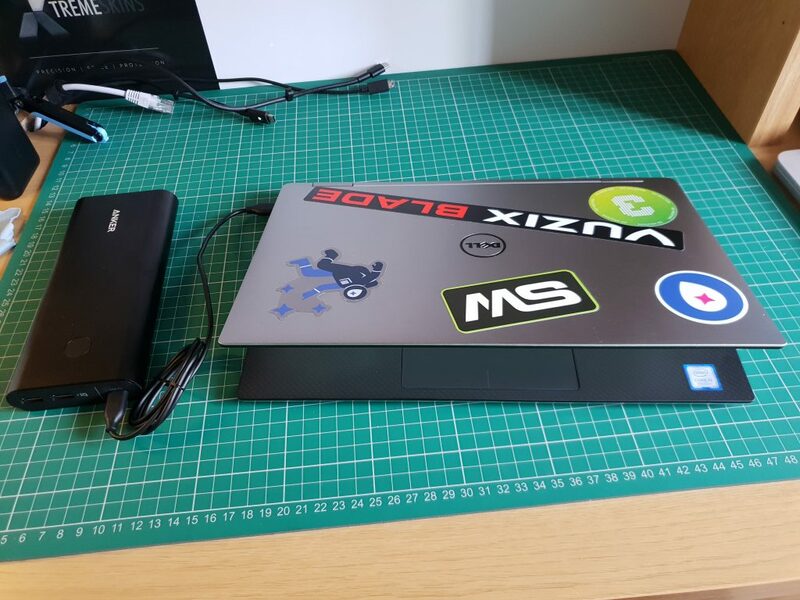 The laptop was then used extensively on the return journey under its own steam until it was dead, and I was then able to get another charge from the PowerCore 28600+ PD – up to 75% of the laptop battery. After this, the PowerCore was fully depleted but by this point, I was at home and was not needing to use it so everything was golden! All in all, I think the experiment went very well and the PowerCore 28600+ PD is going to be my new stablemate for any sort of trips away. I love the fact that it will give me a full charge for my laptop and still have enough juice in the bank for me to give my phones a boost as well. 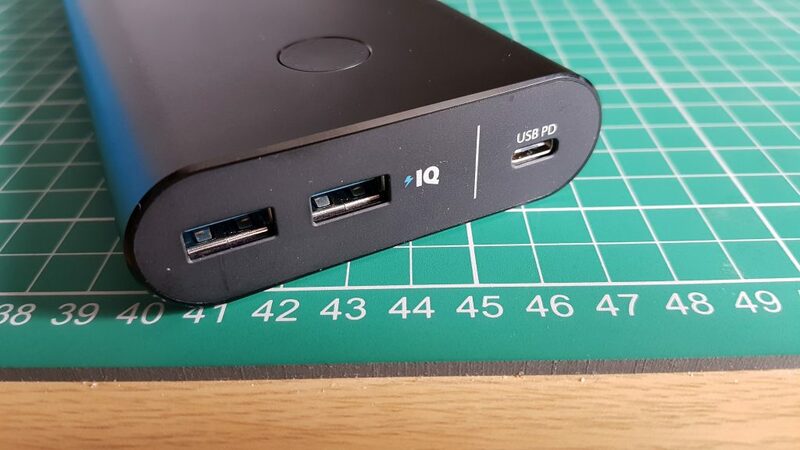 The fact that it has both USB Type C PD outputs and also 2 full-size USB Type A ports makes it very useful for charging multiple devices. I was actually able to help a fellow journalist out when he needed to give his iPhone a quick jolt whilst waiting for a taxi back to our hotel! Would I recommend this as a solution for you though? Well, it all depends on your circumstances really. If you are like me and someone who leads a very tech heavy and busy life where you are always having to juggle power needs, then absolutely. 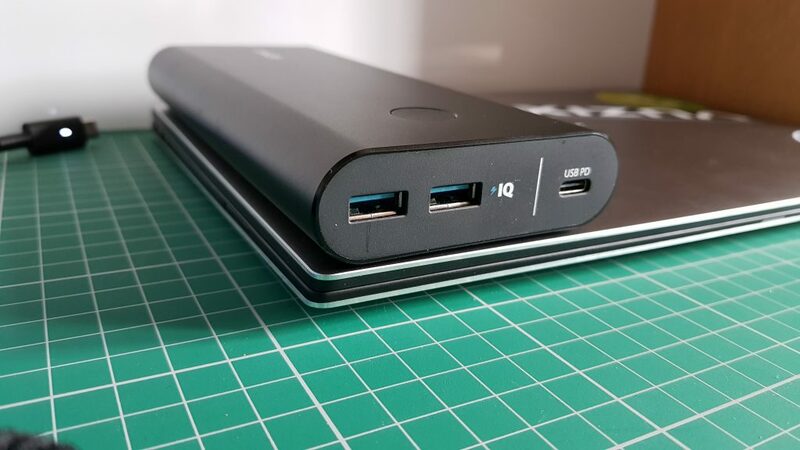 If, on the other hand, your laptop has become more of a desktop and you only need to top up your phone whilst on the move, then I would think about looking at one of the less expensive PowerCore options. 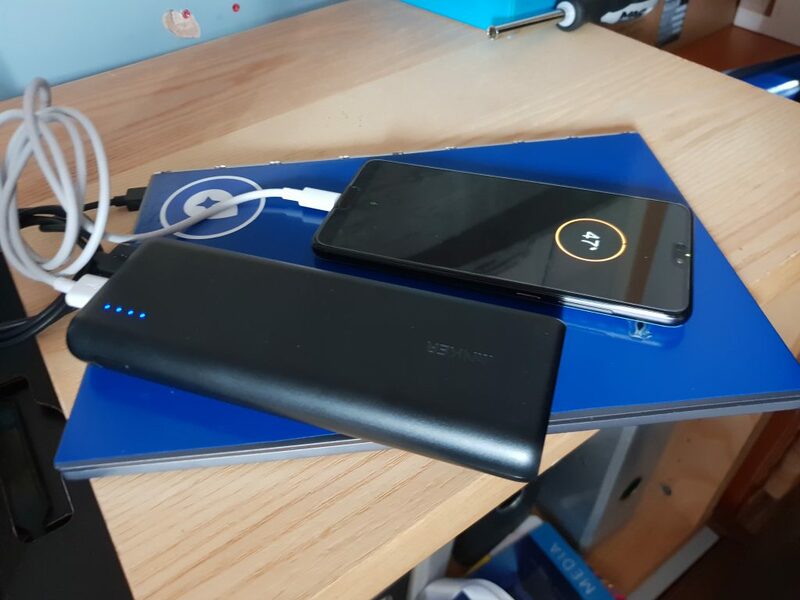 There is one phone however that is exempt from this though, if you are the owner of one of the Google Pixel devices then any battery that supports Power Delivery is a must as it will be the only way to guarantee fast charging whilst on the go. 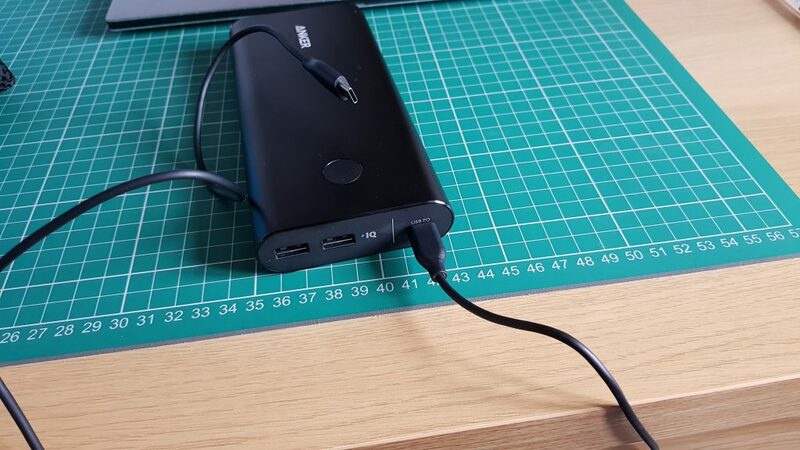 At the time of writing this review, the Anker PowerCore 28600+ PD is showing as unavailable on Amazon however they are recommending this as an alternative. It is a slightly lower capacity but the rest of the benefits will still ring true. so it might be worth picking one up if you are in the market for on the go power. 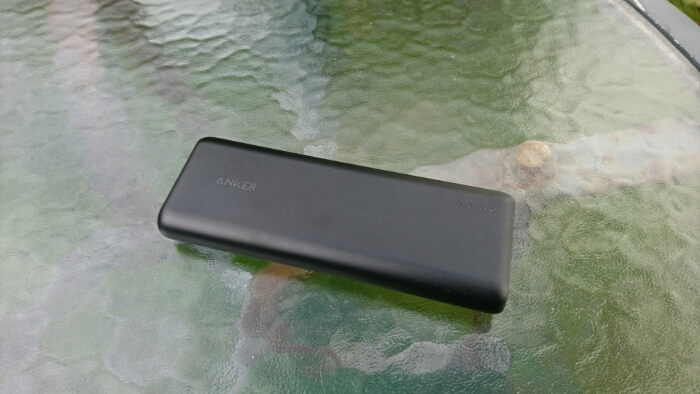 The post Anker PowerCore 26800+ -Review is original content from Coolsmartphone. If you see it on another news website, please let us know. The Justice Department, during closing arguments of its case against the AT&T-Time Warner merger, suddenly suggested the judge weigh “alternative” remedies should he choose not to block the deal. The Justice Department has fought against the merger from the start, saying AT&T would use Time Warner’s content as a weapon against consumers, raising prices and limiting competition. Throughout the six-week trial, however, U.S. District Judge Richard Leon has seemed skeptical of the Justice Department’s case. In a surprise twist, Justice Department attorney Craig Conrath took advantage of his closing arguments to suggest Leon take at least some protective measures. If Leon chooses to allow the deal to proceed, Conrath asked that the judge force AT&T to divest part of Time Warner in order to close the deal — specifically Turner Networks. Time Warner generates television and movie content and is separate from Time Warner Cable, which provides cable TV and internet service in New York. This deal is just for Time Warner the content company. Conrath also suggested that AT&T be forced to make “structural” alterations to minimize the deal’s effect on customers. The Justice Department had already asked AT&T for divestures. It refused, saying such requirements weren’t necessary. AT&T insists it needs to acquire Time Warner in order to compete with Verizon Communications. The judge said he will announce his decision at a hearing on June 12. In your car there’s a magical port. 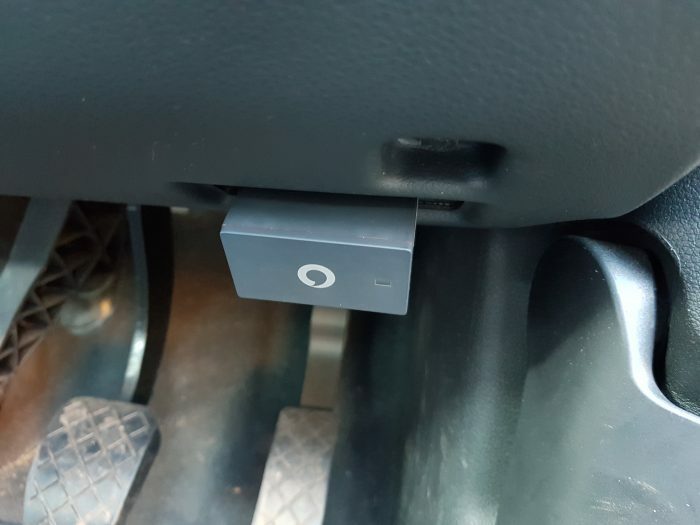 It sits under your dashboard usually and you’ll find that the AA man will plug his laptop into it. I remember once I broke down and had to call them out. It was in a car I was renting and his just whacked the laptop in. Boom! It told him exactly what was wrong. No more opening the bonnet and ferreting around. Oh no, the on-board computer tells you everything you need to know. That port can also do some other cool things. Plug a laptop in and you can get the throttle position, air / fuel ratio, coolant temperature, oil temperature, RPM, speed and some other bits. When you combine it with a phone or a dongle, you can add in other sensors, like a G-sensor and GPS information. That way, you can see where you’ve been and how safely you drove during the journey. Then… then, if you add in a SIM card and connect it to a mobile phone network, you can access that information from anywhere. And that, my friends, is what we have here. It’s called the V-Auto by Vodafone and it’s a small dongle that you whack into your OBDII port. Inside is a Vodafone SIM which sends data to your smartphone or someone elses. 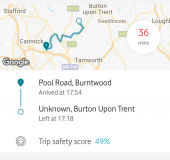 Take, as an example, a new driver or a loved one driving around, you can see if they’ve arrived safely – you can see where they are and you can see if they’re driving sensibly too. There’s four main features to this gadget. First, it’ll keep track of your journeys and the time each trip takes. That alone is ideal for anyone who drives for a living as you can see every trip you ever took. 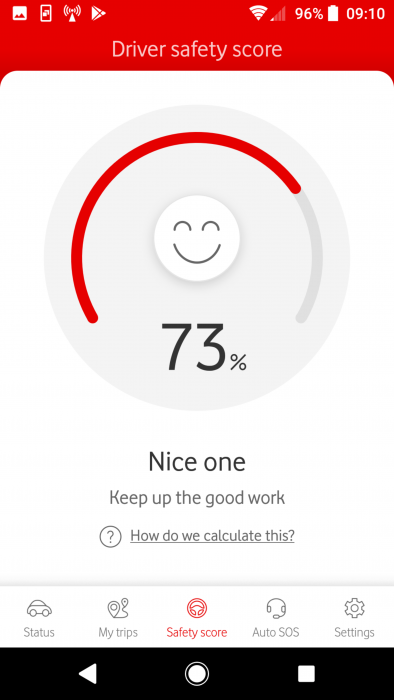 Then there’s the “Road Safety Score” which lets you and your family know how well you’re driving. There’s also a “Find My Car” option which lets you find your car when it’s parked. 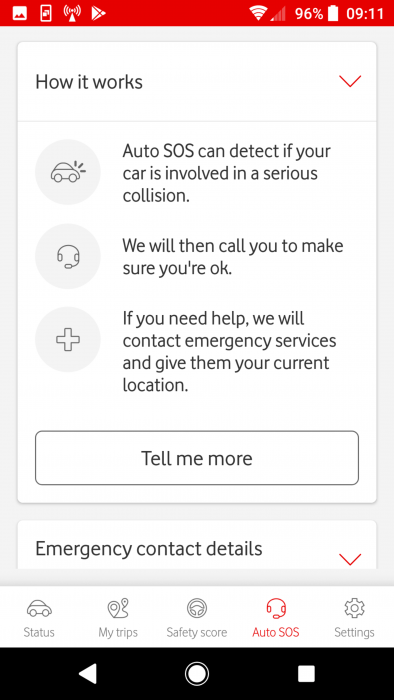 The V-Auto system also has an “Auto SOS service” which, if you’re in a crash, helps you out. 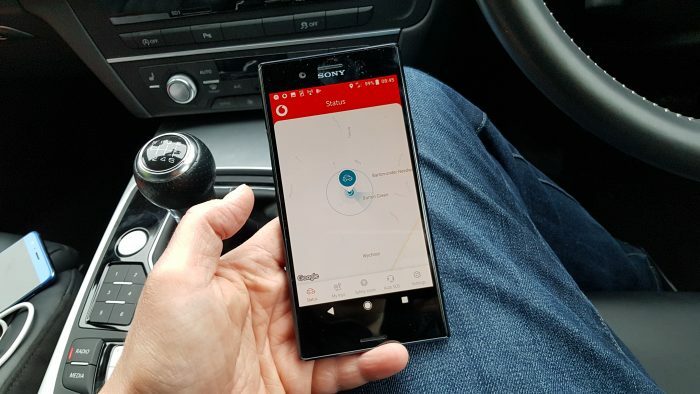 Specially trained Vodafone agents will contact you to check if you’re OK, and whether you need roadside assistance or the emergency services. They can take the worry and the stress out of the situation as they know exactly where you are and they can do it all for you. 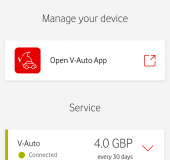 The dongle works with the V-Auto app, which is available for Android or iPhone. You use it to go through the setup process, which I’ve filmed below. 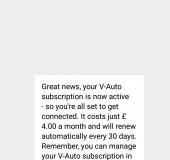 It’s all very simple indeed and basically involves you setting up an account, entering some personal details and information about your car, then agreeing to a £4 monthly service. Yes, whilst the unit itself is £85, you’ll need to pay the £4 for the data access charges. 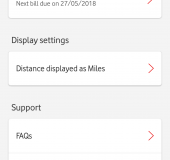 This is taken directly from your mobile bill and it’s all easily completed after you’ve unboxed it. Then it’s just a matter of plugging in the V-Auto device itself and going for a drive to create a report. 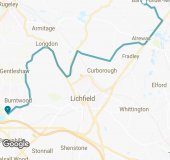 The trip reports can help you determine what the best route to work might be, where you were on a certain day etc. It’s nice information for those driving as part of a job, but I can’t see myself using it too much. For a parent it might be worth checking to see if your son or daughter has arrived at work etc. The Safety Score system worked quite well. I drove very sedately for a few days and tended to get around 70-80% so if you’re getting less than 30% then you’ll probably be driving like a complete lunatic. It’s this kind of info that some insurance companies use with the in-car black boxes collect. 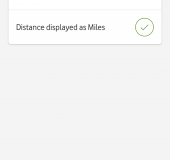 Again, the family can check this and it’s integrated within the trip reports so that you can see how well the car has been driven. When I used to drink heavily, the “walk of shame” the next morning would usually involve me trying to fathom out where I’d abandoned my car. Likewise, in a big multi-storey car park or at a shopping centre, airport or long-stay railway carpark you may not remember where you parked your car. 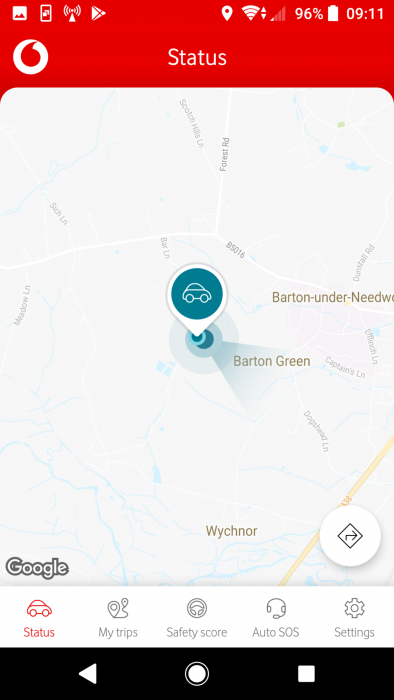 Here, with “Find my car” it’s easy to locate your car and then, combined with a small indicator showing your location, you can easily get yourself to it. The Auto SOS feature is perhaps the most unique though. It’s a system that can be found in some quite expensive cars. 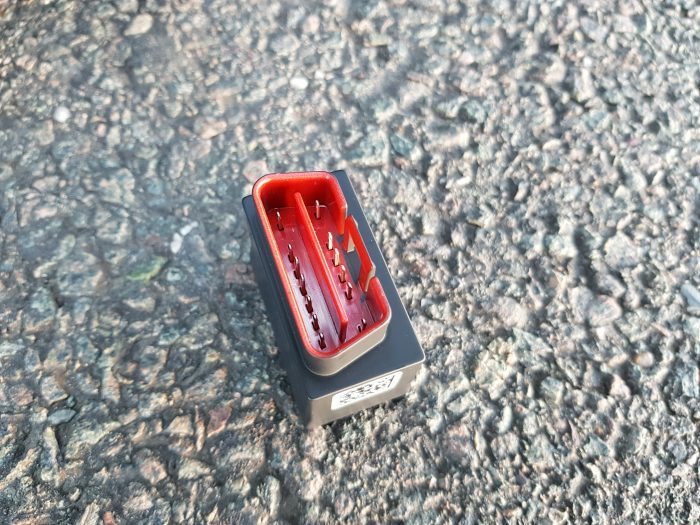 It detects if you’ve been in a serious collision. A trained agent will then call you and your family to see if you’re OK. They’ll calmly relay all the important details about you, your car make, model, colour and where you are. The interface on the app is easy to understand, the setup process is painless and the device works just as it should. All in all, for a loved one, a parent or a guardian, it’s a great way to know whether your car has been driven safely or if your significant other has arrived safely. Think of it as a “smart” car implant. It effectively lets you check on that car, whether the occupant is safe, how much it’s being driven, how it’s being driven, where it goes the most and also where it is at any point. The £4 monthly fee feels about the right price although I would like to see it available for a bit less than the initial £85. It’s a clever, innovative system and will hopefully benefit from further additional features soon enough. 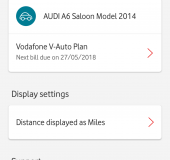 The post V-Auto by Vodafone – Review is original content from Coolsmartphone. If you see it on another news website, please let us know. Senate Democrats are looking to make net neutrality a campaign issue heading into the 2018 mid-term elections and will kick things off May 9 with a vote. Sen. Ed Markey (D) has amassed a total of 50 supporters in the Senate, all 49 Democrats and Republican Susan Collins of Maine. Democrats will need at least one more Republican to cross the aisle to halt the FCC’s repeal of net neutrality. Even if the vote is successful, the Senate bid would likely fail in the Republican-held House of Representatives and, more importantly, on the desk of President Donald Trump. Senate Majority Leader Mitch McConnell (R) agrees with the FCC’s decision to repeal net neutrality, as does President Trump. The main goal, however, is to force Democrats and Republicans alike to go on the record with what they support. “There will be a political price to pay for those who are on the wrong side of history,” said Markey. The FCC’s repeal of Obama-era net neutrality laws reclassifies broadband as an information service, rather than as a utility. It also does away with the bright line rules regarding behaviors such as throttling and paid prioritization in favor of a self-policing approach. The FCC is being sued on multiple fronts from multiple organizations over the changes. Moreover, individual U.S. states have begun to put their own net neutrality laws in place. Blu Products has reached a settlement agreement with the U.S. Federal Trade Commission over allegations that it allowed its phones to surreptitiously collect owner data. Blu installed software from a China-based company called ADUPS Technology. The software was intended to help issue security and operating system updates to Blu devices. ADUPS, however, ferreted tons of user data, including calls and text messages with phone numbers and content, contact lists, installed app lists, and real-time location. The FTC said Blu misled customers by claiming only the needed information was collected, and then further falsely claimed that it had implemented measures to protect consumer information. Moreover, ADUPS’ software was insecure and left owners of Blu phones vulnerable to attack. At one point, Amazon.com ceased selling Blu handsets. Under the terms of the settlement with the FTC, Blu is cannot mislead customers about the information it collects, why that info is collected, and what it does with the information. It must also put into practice comprehensive security measures to address security risks. Blu will be subject to third-party audits very two years for 20 years to ensure compliance. Blu will not have to pay a fine. Blu Products is based in Miami and makes low-cost phones.